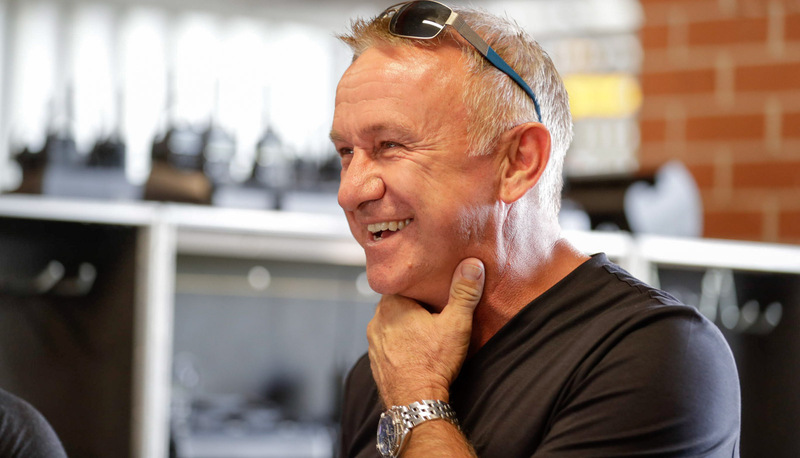 Russell Ingall’s 22-year streak of attending Supercars events has come to an end at this weekend’s CrownBet Darwin Triple Crown. The champion driver turned Fox Sports pundit is absent on sick leave, but will return for the Watpac Townsville 400 on July 6-8. Ingall raced in Supercars from 1996 to 2014, before joining Fox Sports’ commentary team the following season. His expert comments role on the Fox Sports desk between sessions alongside host Jessica Yates has been absorbed at Hidden Valley by regulars Mark Skaife and Neil Crompton. Ingall is synonymous with the Darwin event, having won two races and the round at the venue’s inaugural Supercars event in 1998 while driving a Castrol Perkins Holden. He won two more races at the circuit the following season, before adding single victories in 2001 and ’04, the latter with Stone Brothers Racing.